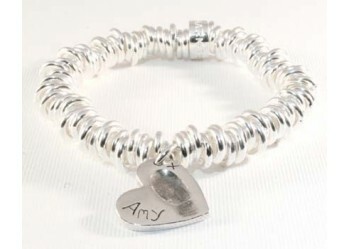 An Oval Link 7.5 inch Sterling Silver Belcher Bracelet . 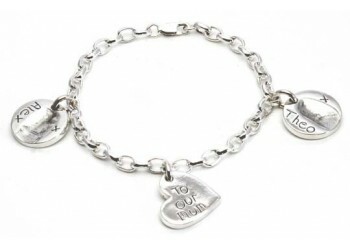 This Bracelet comes with a Charm of your ch..
An Oval Belcher Bracelet measuring 7.5" with 3 Charms of your choice, Heart, Round or Square. 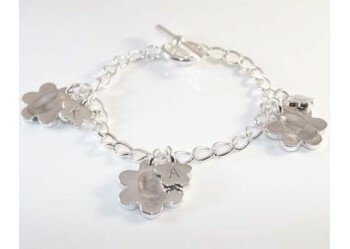 Each c..
Three Pure Silver Fingerprint Daisy Charm with a small Daisy, on a Sterling Silver T-Bar Brace..
A 7.5 inch sterling silver curb charm bracelet with a small charm of your choice, heart, square or c.. 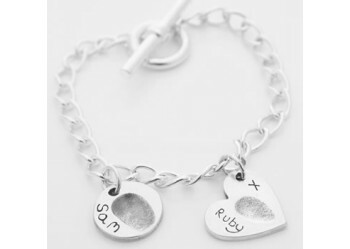 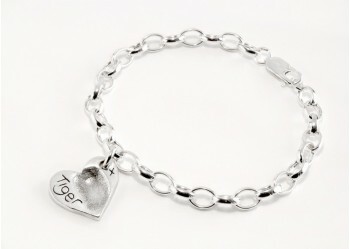 This extremely popular Bracelet is Made up of Solid Silver Rings and weighing 16g, this fashionable ..